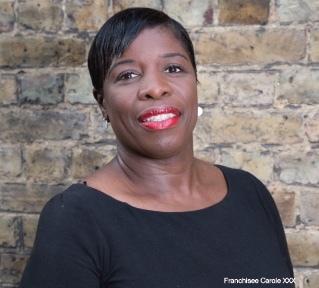 With more entrepreneurs turning to rewarding careers in something they are passionate about, we caught up with Home Care Preferred’s latest franchisees to discuss the purchasing experience and why it was a good decision. Carole had dreamed of owning her own business for several years and following a difficult period for her family she received hands-on experience of caring for a poorly relative. She saw for herself what the care industry does in the community and it sparked a passion in the care sector. She decided to approach her friends and family (now her business partners) with a look at purchasing a care business. What did you do prior to opening a franchise and why did you change careers? I worked as an IT consultant for 20 years. I loved my city job, but I wanted something that would give me more freedom to enjoy life. I changed to a career in care and recently our franchise business was born. What do your business partners bring to the business? From studying social community development, working in social care, managing mental health services to managing children’s services we are all able to offer our knowledge and experience. What appealed to you about franchising? We initially wanted to open a care home although after investigation we realised it was too costly. We met with Home Care Preferred and decided that a franchise was a better fit, as it comes with the brand, experience and support – which is invaluable. Why did you decide on a Home Care Preferred franchise? We looked around and we did our research but it really came down to values. Caring for my family in the past led me to understand that it is the quality of care that makes the experience and we want to be able to give this to our community. What really sold the franchise to us were Home Care Preferred’s values, company ethics and ethos – they surpass their competitors. How did you find your experience of opening a franchise? So easy! Home Care Preferred were more than accommodating and we never felt rushed to make our decisions. I think there has been a lot of negativity surrounding the care sector, but Home Care Preferred are breaking those stereotypes to uphold the best in care. How have you found the support from Home Care Preferred? Great so far! We are really enthusiastic to start working on our new venture and the on-going relationship that will develop with the team at Home Care Preferred. What do you feel are the challenges of becoming a franchisee? Starting your own business can be difficult, but we have great support from Home Care Preferred and that gives us great comfort. How will you use this new business venture to improve your work-life balance? I think it’s important for all of us to have a good work-life balance. We’ve all had high-pressure jobs in the past and recognise a need to change our lifestyles. We’ve agreed to look out for each other’s well-being. We will make sure we take time off and step in to cover when required. Find your market and do your research. Don’t be afraid to walk away from something that doesn’t feel right. We contacted other franchisors but didn’t see a good fit. When we came across Home Care Preferred, the synergy was instant and after we conducted our own research we knew they were right for us. For Home Care Preferred franchise information email nav@homecarepreferred.com.